[prodDesc] => The combination of bitter Yerba Mate with organic lemongrass offers a bold infusion with fresh clean citrus notes. Mate was first consumed by the indigenous and became widespread with the European colonization. Rich in chlorophyll, amino acid and essential minerals, yerba mate is a great pick me up drink, without the jitters found in coffee. Use 1 cup of hot water per teabag. Bring to boil fresh water, pour over 1 teabag per teabag. Let steep 5 minutes. Remove teabag. 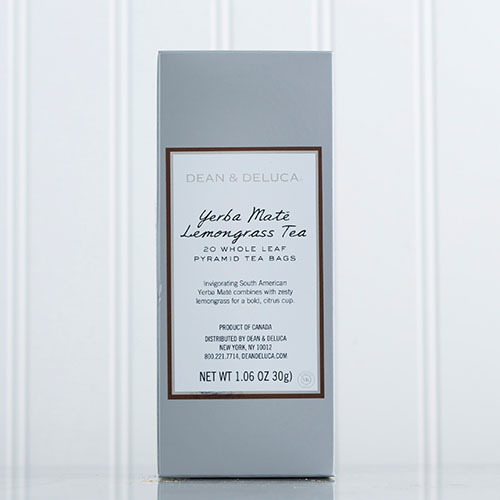 The combination of bitter Yerba Mate with organic lemongrass offers a bold infusion with fresh clean citrus notes. Mate was first consumed by the indigenous and became widespread with the European colonization. Rich in chlorophyll, amino acid and essential minerals, yerba mate is a great pick me up drink, without the jitters found in coffee. Use 1 cup of hot water per teabag. Bring to boil fresh water, pour over 1 teabag per teabag. Let steep 5 minutes. Remove teabag.